Facing the head-tube and bottom bracket shell. The frame jig holds the head-tube and bb-shell centered between cones so it’s pretty important that both of these parts have parallel faces. 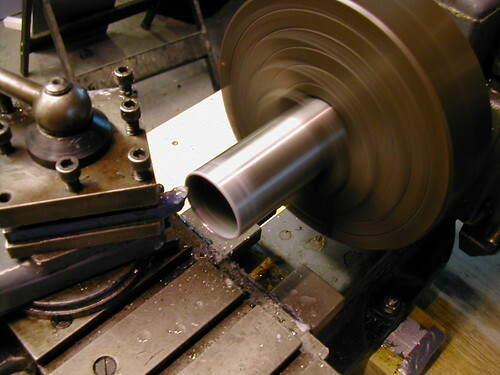 Both are faced in the lathe. I add a small chamfer to the inside of the tube that matches the taper of the cones on the fixture. This helps the tubes sit nice and solid.